Feb. 4, 2019 - Ali Motahari, deputy chair of the Iranian regime’s Majlis (parliament) who chaired Sunday’s session, shed light on how the mullahs are completely disappointed and hopeless in regards to Europe’s newly announced INSTEX initiative aimed at supposedly facilitating trade with Tehran. Considering the fact that this initiative is hinged on the Iranian regime succumbing to the conditions raised in the Financial Action Task Force (FATF) conventions, the Foreign Ministry must show an appropriate response, he said. “Today, the world has hinged this initiative on Iran joining the international FATF agreement. This is a method of interfering in Iran’s affairs and the Foreign Ministry must show a proper response. Europe must act based on all its commitments according to the May 2018 statement issued by the Iranian Foreign Ministry and three European countries,” he said. Despite the mullahs’ Foreign Minister Mohammad Javad Zarif welcoming the INSTEX’s launch in an attempt to save face, this new measure by Europe has actually resulted in increasing concerns and worries among regime officials. Some figures are actually calling for countermeasures by the Iranian regime in response to Europe. Kayhan daily, known as the mouthpiece of Iranian regime Supreme Leader Ali Khamenei, also voiced concerns in a piece published on Sunday. Hossine Salami, deputy chief of the Revolutionary Guards (IRGC), saw no choice but resorting to a new bluff. “If the Europeans or any other party seek to pursue a plot to disarm the Islamic Republic of Iran of its missiles, we will be forced into a strategic leap,” he said on Saturday. These reactions further show how the mullahs’ regime, and especially those very close to Khamenei’s decision-making circles, are deeply troubled and concerned about the road ahead. The Iranian regime’s domestic and foreign crises are cornering this regime like never before. The Iranian regime has yet to pass the necessary laws under the FATF and conform to international norms and laws for combatting terrorism financing, and the Guardian Council recently rebuked the CFT (Combatting the Financing of Terrorism) bill, the most important of four necessary legislations. The Guardian Council is a body of 12 clerics, six of which are directly appointed by the Supreme Leader.  The other six are chosen by the regime’s parliament from among jurists introduced by the head of the judiciary, who is also appointed by the Supreme Leader. The body is tasked with vetting parliament legislations against the so-called Islamic principles of the regime. In this case, the Guardian Council stated that its previous list of 20 reservations about the bill are still standing and that the proposed bill does not conform to the Iranian constitution and Islamic laws. This marks a new chapter in the ongoing battle between the two major factions among the Iranian ruling theocracy. “The Financial Action Task Force’s convention has a definition of terrorism that conflicts with the constitution of the [Iranian] regime,” said Saeed Jalili, former member of the Iranian nuclear negotiations team and current member of the Expediency Discernment Council. And no wonder; running “the world’s leading state sponsor of terror” needs a constitution that provides for the right ideology and necessary tools to leave the competition in the dust, which consequently makes it to contradict with the inter-governmental world’s body whose stated purpose is the development and promotion of policies—national and international—to combat money laundering and terrorist financing. Jalili’s speech begs a more fundamental question about the Iranian regime’s goals and objectives from the nuclear negotiations and final deal, considering that he was a member of the nuclear negotiations team. Meanwhile, on the other end of the Iranian political aisle, Mohammad-Reza Bahonar, a former MP and secretary general of the Front of Followers of the Line of the Imam and the Leader—close to the so-called moderate faction—­expressed confidence that the Iranian regime will join the FATF conditionally while keeping its reservations. The Expediency Council is tasked with resolving the conflicts between the Guardian Council and the Majlis, the Iranian regime’s parliament. While the Iranian regime accepts the FATF bill to prevent “further blows”, combatting money laundering and financing of terrorism—the very essence and purpose of FATF— “conflicts with the constitution of the [Iranian] regime,” which is based on the idea of Velayat-e Faqih, or the uncontested rule of the clergy. One of the pillars of the current Iranian constitution and the ideology that “legitimizes” the Islamic Revolutionary Guards Corps, the Quds Force, the Supreme Leader’s statute and mandate is based on exporting terrorism to the region and the world—especially the Islamic world—branded as revolution. Unless the Iranian regime’s lobby around the world, which doesn’t care much for anything but the blood-stained petrodollars flowing out of Tehran, manages to sell an Iranian version of condition-riddled FATF laws to the international community, the mullahs are in for a hell of a ride. Depriving the ruling theocracy in Iran of the ability of exporting fanaticism through its countless proxies and minions around the world will leave behind a toothless lion whose slow but spectacular death will become something to remember for history books. So, as much as the Iranian people and their resistance are concerned, go ahead, pass the FATF laws or don’t. One way or another, the medieval theocracy’s fate is sealed.